Drop us a line and we'll send you your copy of the Product Quick View or Main Catalogue free today. Contact us by phone or anytime by Email at our office in Dharwad, Karnataka. With your help we can all make a difference! DARCO is looking for distributors all over India! We invite you to download the print version of our Product Catalogue for India. 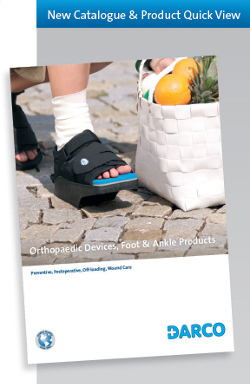 Devices, Foot and Ankle Products"
Current Newsletter: Spring is a time of planning and projects! Distributors wanted: DARCO is looking for distributors all over India! 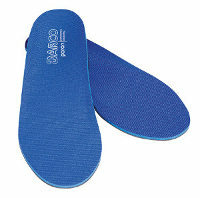 The intention of our internet appearance for India is to offer you an accurate picture of the scope, character and quality of our product range available in India: DARCO offers a full product line of footwear specifically designed to control plantar pressure after surgery or in cases where wounds or diabetic ulcers are present on the foot. 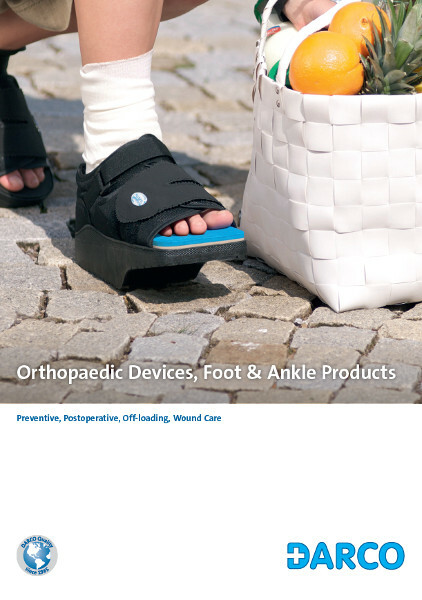 DARCO products are available in the following product groups: Postoperative Care, Trauma Care, Diabetes | Off-loading & Wound Care, Plantar Fasciitis Products, Ankle Supports, Pediatric Care and Diagnostic Products. For further information e.g. catalogues, flyers or instructions for use please visit our rubric "Downloads". Please approach our distributors in India. 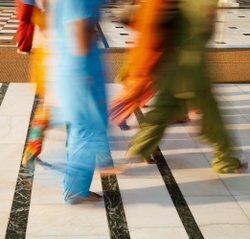 Are you a professional health care provider? In every case, we are looking forward to answering your questions! 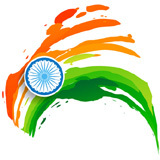 › More Information: "DARCO international facing India. A new and promising gate"
Worldwide proven DARCO footcare products! DARCO is an international group operating worldwide in a leading position with orthopaedic cast boots, walkers, post operative shoes and off-loading boots. DARCO has become a specialist in diabetic and wound care due to many years of experience. For more than 25 years we represent innovative products. DARCO products are readily available, offer great value and can be effectively placed on patients and/or modified in minutes. With the rise of diabetes escalating worldwide, the incidence of wounds and ulcerations are increasing as well. In this respect our Research and Development team consisting of orthopaedic technicians and product designers focuses on the development of new products representing state-of-art technology in close cooperation with leading medical specialists and health care professionals all over the world. DARCO is specifically involved in promoting and expanding existing knowledge as well as organizing multiple further training opportunities which include workshops, congresses, symposiums and exhibitions. Over the last years this has become a source of information for medical specialists and a platform for mutual exchange in the USA, Germany and China. This is the way we include practical know-how and modern technology in our product design and how we remain standing firmly on our own two feet. Since the founding of DARCO International Inc. USA in 1985 DARCO has maintained its focus on the foot and ankle and has grown to become one of the most widely recognized brands in the global foot and ankle community. In 1992 the company opened a distribution centre in Germany. DARCO (Europe) rapidly developed into the leading provider of orthopaedic devices to the German foot and ankle community. The German subsidiary directly exchanges knowledge and developments with the most experienced foot surgeons due to DARCO's strong engagement in the independent Society for Foot Surgery. At the same time the company invested heavily in expanding its ISO certified manufacturing operations in China to expand both its production and distribution capabilities. In addition DARCO China also established its own quality management system. 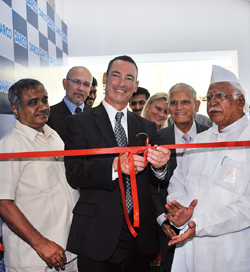 In August 2012 DARCO celebrated the inauguration of its Indian subsidiary DARCO Medical India Pvt. Ltd in Dharwad, Karnataka.